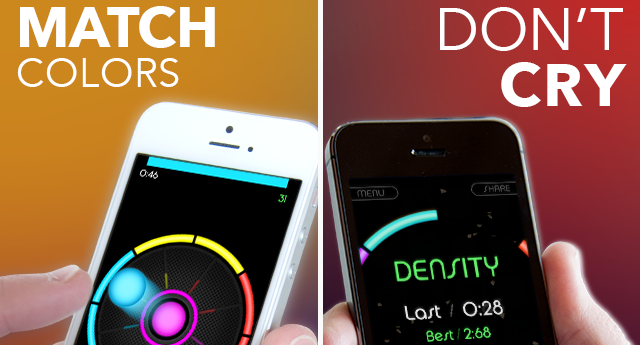 Lumena is a no-nonsense rhythm game coming to the iPhone and iPad. It features an original electronic soundtrack by our super talented friend Modbom. If that one track is any indication of the full game, I like it. Perfectly paced with a rhythm ideal for reflex-based gaming without being intrusive – something that games get wrong so often it’s frankly baffling. Music should enhance gameplay, not get in the way, and here modbom has nailed it. The game looks thumb-rendingly fun and the music sounds great. Definitely looking forward to the May release date. Update: Elevate have kindly provided me with a copy of the full album and I can confirm that you won’t be disappointed. The full thing is as good and as polished as the sample track “Exposure” above. The worst I can say is that not all of the tracks seem like they’ll blend into gameplay as well as “Exposure but at this point I’m willing to give the benefit of the doubt to Elevate and modbom – composer and developer clearly know what they’re doing so I’m going to trust them on this. That’s a minor quibble though and Exposure set a very high bar. Regardless, this is a great album and when it hits iTunes I definitely recommend grabbing a copy. If nothing else I can tell you it’s great music to code to.